Daryl Johnson (Worcester Park, United Kingdom) on 21 December 2015 in Business & Industry. 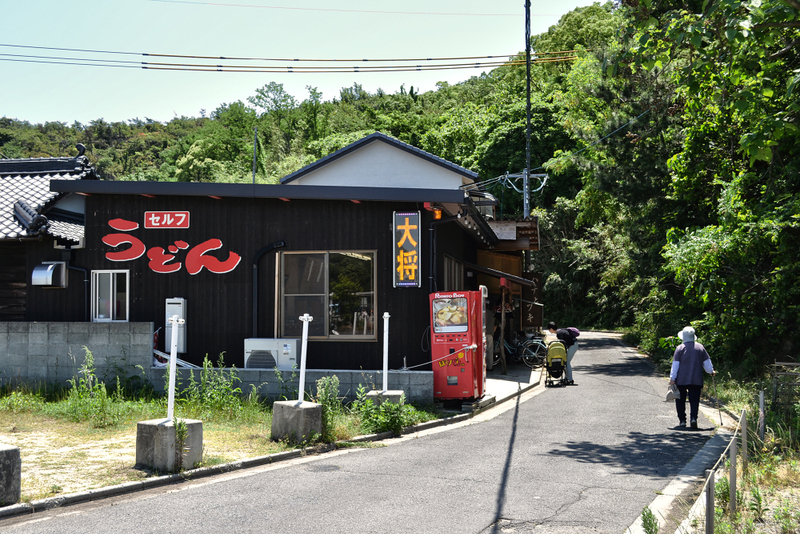 We stopped here at this very local udon restaurant for lunch after arriving on Naoshima. "Self udon" means it's self-service - you get your basic bowl of udon noodles and help yourself to various toppings or side dishes. Very good, very cheap! I bet you enjoyed your lunch at this cosy little place Daryl! @Richard Standley: Certainly did Richard! I love udon shops like this. I found one when I lived in Hiroshima and went there often. On my visit, last spring, the shop was gone. Bummer.